Nifty opened positive, but oscillated within a narrow range for the better part of the day, a huge short covering rally towards the end to close positive at 6048.35, a huge gain of 47.25 points. On a week on week basis the index lost 14.85 points or approx 0.24%. The broader market though was weak, with 638 advances to 756 declines. Best support for the Series still at 6000PE with OI now around 87.15 lacs. 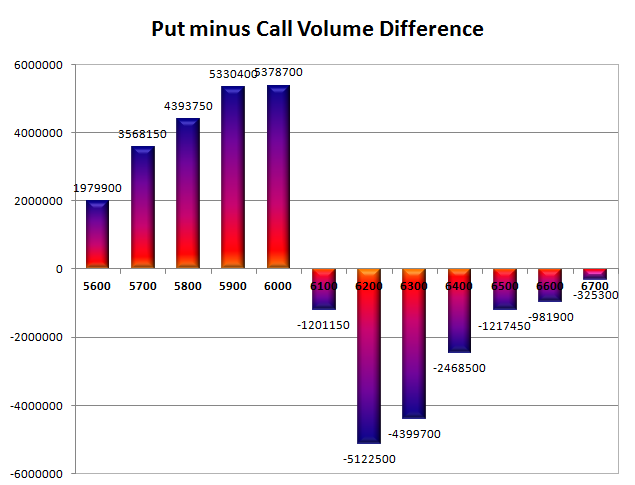 Call option 6300-6400 added 1.80 lacs huge amount of OI with short covering seen at 6100 and lower strike prices. 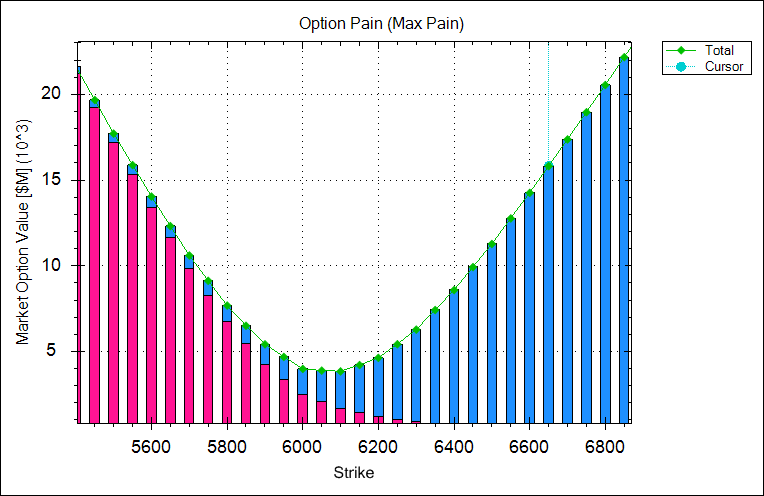 Put option 5800, 5600 added 3.20 lacs huge amount of OI with short covering seen at 6100 and above strike prices. 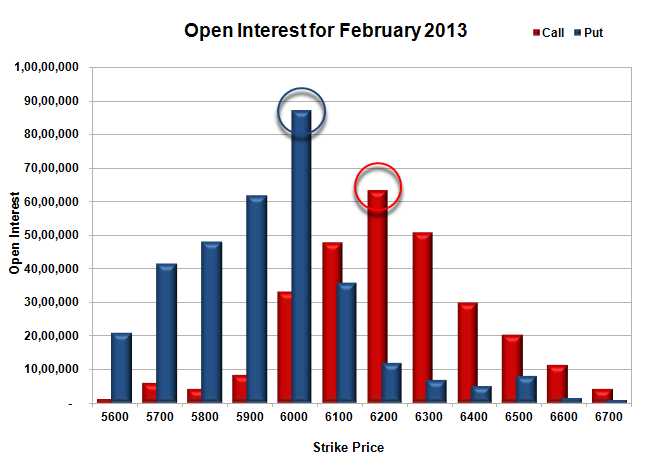 Nifty Open Interest is at 1,62,05,200 down by 4,51,300, with increase in price, most probably huge short covering. 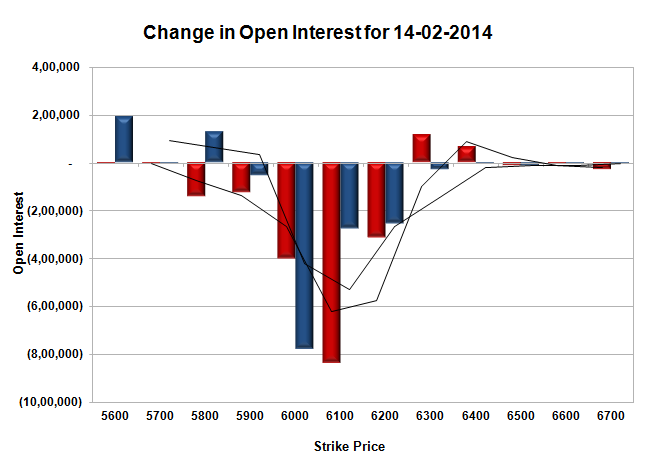 Bank Nifty Open Interest is at 17,04,400 down by 39,750, with increase in price, most probably huge short covering. FII’s sold 1.77 lacs Futures, mostly short build-up, as their net OI increased by 358 contracts (includes 43392 longs and 46934 shorts for the day) and the average price per contract comes to around 5970.32. FII’s future open contract as on date is 386172. PCR Open Interest (Volume) is comfortably placed at 1.234. Best support still at 6000, with highest OI of 87.16 lacs and below that at 5900 with huge OI of 61.81 lacs. Initial resistance still at 6100, though covered huge, with OI now at 47.83 lacs and above that at 6200, with OI of 63.27 lacs. Day Range as per Option Table is 5987 - 6083 and as per VIX is 5996 - 6101 with 6030 as the Pivot.